Throughout the 1970s, six Latin American governments led by Chile formed a military alliance called Operation Condor to carry out kidnappings, torture, and political assassinations across three continents. It was an early "war on terror" initially encouraged by the CIA which later backfired on the United States. Hailed by Foreign Affairs as "remarkable" and "a major contribution to the historical record," The Condor Years uncovers the unsettling facts about the secret U.S. relationship with the dictators who created this terrorist organization. 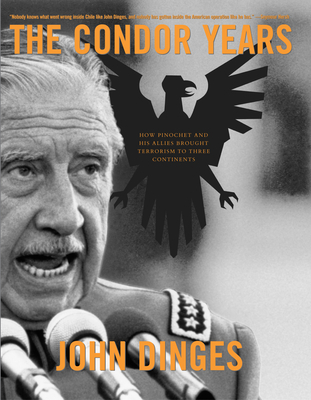 Written by award-winning journalist John Dinges and newly updated to include recent developments in the prosecution of Pinochet, the book is a chilling but dispassionately told history of one of Latin America's darkest eras. Dinges, himself interrogated in a Chilean torture camp, interviewed participants on both sides and examined thousands of previously secret documents to take the reader inside this underground world of military operatives and diplomats, right-wing spies and left-wing revolutionaries. John Dinges, former managing editor of NPR News and Latin American special correspondent for the Washington Post, is the author of Our Man in Panama. He teaches journalism at Columbia University and lives in New York City and Washington, D.C.